‘Another Concentration Camp’. What the hell is going on in UoH campus? 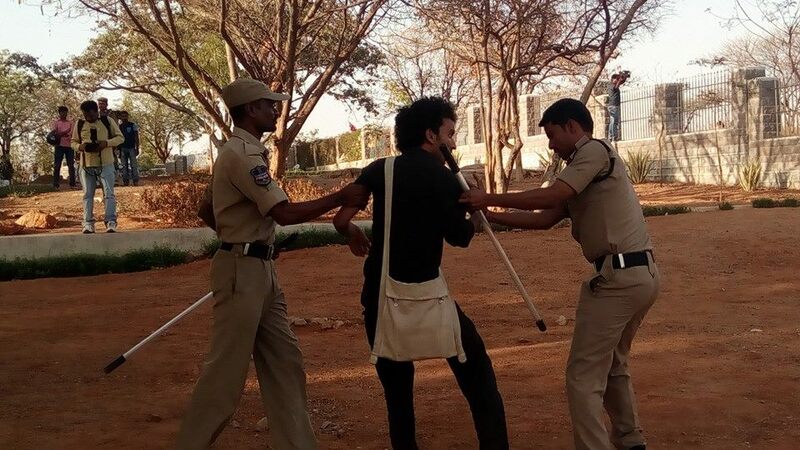 No food in university of hyderabad messes since 24 hours.. this afternoon, when a few students started cooking near the veilvada area, they were stopped by thepolice and sunkanna and uday bhanu were picked up.. the ugly face of bharat mata. no food, no water.. could there be a more cruel violation of human rights? thousands of students are being denied food and water!! even enemies in war zones are given more consideration..shame!! Appa Rao at HCU. Police Brutality in campus.Students are in hospital, Messes are closed , Internet is blocked. Police entered in campus and brutally attacked students and faculties. They arrested students leaders. Faculty members verbally abused and two Prof K Y Ratnam, Prof Tathagata Sengupta picked up by police.As students told us , Male police brutally grabbed, molested, tossed and beat female students and faculties alike. Female faculties were grabbed by their hair and dragged into vans. Male students were swept inside the van and were beaten without mercy. This nation is slaughtering Muslim youth. Look this widely shared poster. 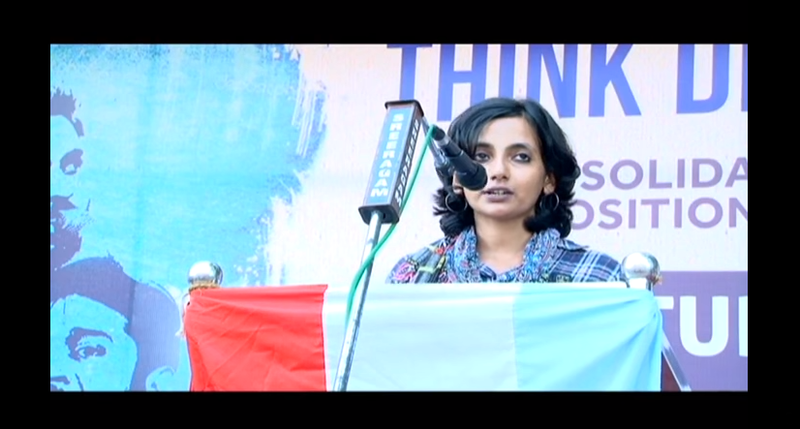 Nikhila Henry, A young journalist and a Social activist, speaking in Kerala on #JusticeforRohith and how Rohith Vemula questioned the so-called ‘anti-national’ criticisms from Sangh Parivar and Central Government when he was alive. Amazon doesn’t deliver orders of Rs.6000 and more to Kerala, Be aware! Many cases have been reported from Kerala about undelivered amazon orders for which customers already paid. On enquiry with amazon, it is confirmed that at present amazon fulfilment centers are NOT able to ship any order with value 6000/- and above to Kerala. But adding to the chances of consumer right violation, amazon is still accepting prepaid orders from Kerala without providing any notification about the issue to the customers. Mathew Samuel Exposed. Real truth behind ‘journalist’. I have been wanting to write this since a long time but didn’t have the courage to do it. I think the time was ripe to expose the man who took the ‘risk and pain’ to expose all the corrupt people in our country. 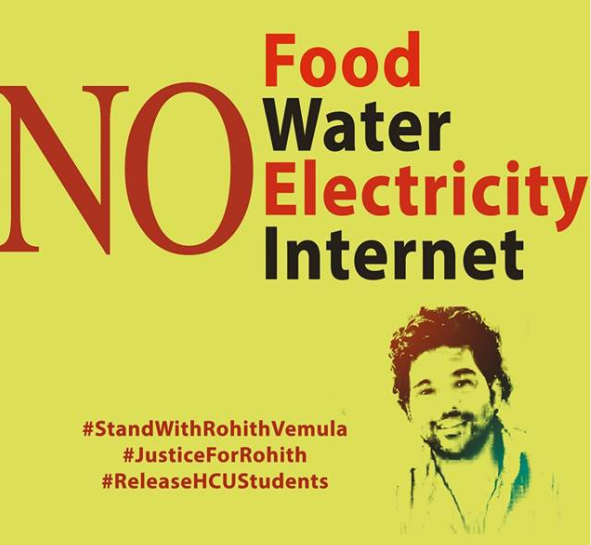 ‘Enact Rohith Act’. Jamia students’ message to Indian President. Jamia Students Forum, a group of students from Jamia Millia Islamia , New Delhi drove one-day postcard campaign in the university campus. It was to protest against the institutional murder of Rohit Vemula, Dalit Research Scholar, Hyderabad Central University. What is nation ? Gopal guru talks. Prof. Gopal Guru (Faculty, Centre for Political Studies School of Social Sciences. Jawahar Lal Nehru University) in a talk series titled ‘What is the nation? JNU lecture series conducted by the JNU Students Union.